The Salish Sea’s Southern Resident killer whale population is one of the most critically endangered populations of marine mammals in Canada and the U.S. The world’s oceans are increasingly subject to a multitude of human-caused pressures, with continental shelf ecosystems among the most heavily affected. As a result, Canada’s Salish Sea is now a patchwork of degraded environments where harmful effects on marine mammals include damaging levels of noise, lack of food, toxic pollutants, fatal collisions with ships and disruptive vessel traffic. Predictably, the Salish Sea’s Southern Resident killer whale population is one of the most critically endangered populations of marine mammals in Canada and the U.S. Both countries list this transboundary population as endangered, citing three primary risk factors: lack of the whales’ preferred prey, Chinook salmon; chronic and acute underwater noise and physical disturbance (e.g., from ferries, commercial ships, whale-watching boats, fishing boats, and recreational traffic); and high levels of contaminants, including polychlorinated biphenyls. Consequently, under existing conditions of food availability, pollutants and vessel traffic the Southern Residents face a highly uncertain future. Routine starvation of whales is one grim manifestation of these cumulative human caused disturbances. Conservation science is tasked with quantifying the relative importance of multiple threats to endangered species, both to determine if cumulative disturbances exceed sustainable levels and to guide effective recovery plans. In so doing, the first axiom is that the most severe threats of extinction should be abated while the addition of new hazards is stopped. Accordingly, endangered Southern Resident killer whales are a conservation reliant species requiring ongoing protection because they live in a degraded environment that can no longer sustain them. All available evidence confirms the present level of human caused disturbances is more than the whales can tolerate. The Salish Sea is now a patchwork of degraded environments. Tweet This! Optimistically, the current threats exposing the population to extinction and preventing recovery could be moderated but not eliminated. Rarely understood but critically important, multiple stressors that are moderated are still cumulative. Combined and acting synergistically, even mitigated multiple stressors would likely remain significantly higher than all the disturbances whales coevolved with and progressively adapted to over millennia. Experiencing almost no population growth, Southern Residents have remained at a population size of less than 100 individuals for the last four decades, with an average of 85 individuals in the last decade. The population now stands at 76 individuals. At present, nutritional stress associated with reduced abundance and availability of the whales’ primary prey, Chinook salmon, is the most important negative influence affecting population wellbeing. Any future conditions that increase noise, reduce food, or expose individuals to random death, will significantly increase the risk of extinction. If any of these threats combine, extinction of the Southern Residents within the next century is probable. For example, increased noise from tankers will diminish the ability of killer whales to communicate and acquire food. Such chronic disturbances resulting in even small reductions in foraging efficiency will affect survival of individuals and translate to population-level adverse effects, which in turn threaten persistence of the population. This is especially critical for small, genetically isolated and slow-reproducing populations, because these populations lack resilience and are unable to recover from disturbances. Moreover, the enduring threat of loud tankers combined with the additional possibility of an oil spill places these killer whales in untenable and unacceptable peril. Even if the probability of a large oil spill is low, the consequence of such an event is potentially catastrophic. Southern Resident killer whales are already severely compromised and unable to effectively contend with additional disturbance. Yet, the obvious folly in attempting to recover this impaired population while knowingly subjecting it to additional harm seems to have escaped the federal government. By acquiescing to the demands of industry and consistently failing to confront prevalent human related threats causing the endangerment of these killer whales, the federal government appears willing to sacrifice Canada’s Southern Residents for more unsustainable industrial development. 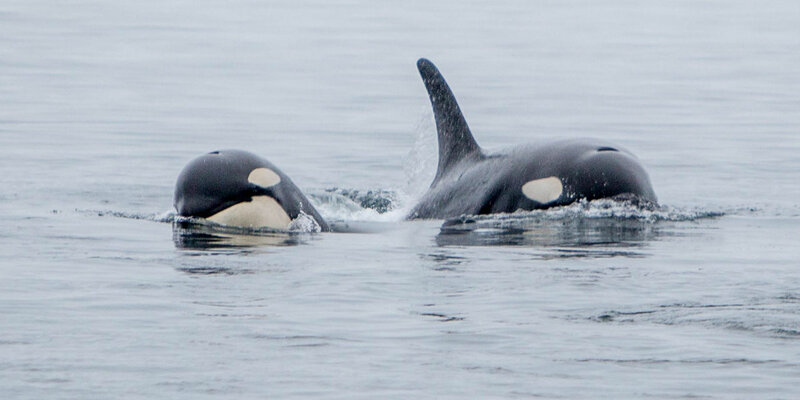 Their decision is distressing considering the Southern Residents’ already fragile population and is destined to hasten the demise of this iconic and unique population of killer whales. A version of this article previously ran in The Province.